LENNY LIBRARY - It has been a few weeks since I was able to get to my trusty, old typewriter, and in that time I have been busy traveling the far reaches of Neopia with Missphd looking for new books to read. In the time since I last wrote, I have read 24 new books and CAN'T WAIT to tell you about them! This week I want to tell you about two books that have come out in recent months and one oldie but goodie whose search sent me hunting for what seemed like weeks on end! I have always been somewhat interested in science and in particular, how our bodies work. Pair that interest with my growing interest in Chias (they are sooooo soft and squishy!) and this book turned out to be a big hit! The other chapters in the book were fascinating as well, and included detailed explanations and great charts and glossy photos (I know it sounds gross, but it's not) on bone structure, nervous systems, soft tissues, muscle groups and so much more! Probably my favourite chapter was the chapter on Chia development, that chronicled the changes your average Chia goes through in his life span, from birth to old age. You would not believe the growth cycles those little guys have! Talk about awkward stages! That chapter also discussed Chia evolution in great detail. Again, if you like science and aren't afraid of a little deep reading, check this book out! When this book first came out in the shops, I thought, Great! Another silly little cardboard book that takes 5 minutes to read and costs my whole allowance. But, I was wrong. Yes, it is short, and yes, it is cardboard, but it actually had a surprising amount of info in it. The book was actually more pictures than text, but the captions on the pictures were chock full of info on Moehogs in general, Moehog care, and other Moehog trivia. 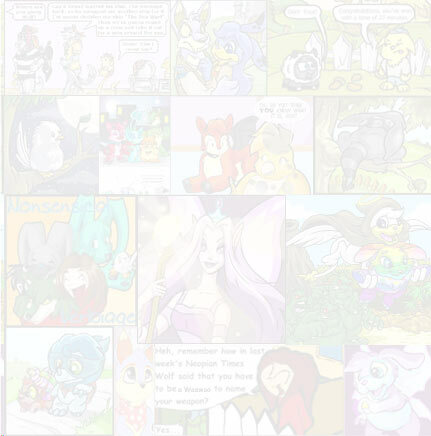 One particular section I liked featured an up-and-coming young Moehog named MyHersheyKiss, who did a surprising amount of publicity work for Neopian ad campaigns during his younger years. And not being particularly fond of Moehogs, I can actually admit he is cute! The glossy section of photos in the middle were a nice touch, considering the price of the book. 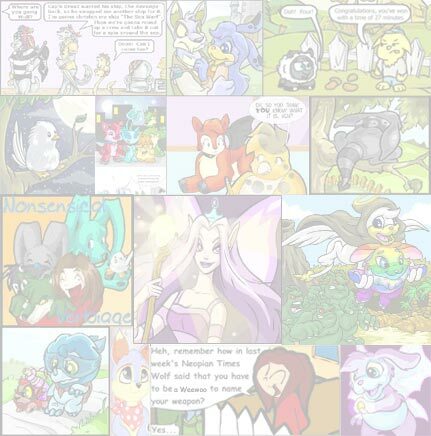 I think glossy pictures can really add to a book, and these were outstanding shots of baby Moehogs from around Neopia. The short stories about baby Moehogs sprinkled in between the pictures made for a few chuckles, and I even snorted once while reading a story about a baby Moehog named Wilahenna, who got all tangled up in a Strawberry patch and has never been the same since! So, if you like Moehogs, or just like babies (and who doesn't?!? *squish*) pick this up! For starters, this book is so protected that I had to be put through all kinds of tests to convince them that I wasn't going to run out and tell everyone the secrets of the code. I had to take physical tests, mental tests and be put through days and days of waiting before I was finally invited into the guild to even get a LOOK at the book. I had to sign numerous documents swearing not to disclose any info in this book, and I even have a small tattoo now (in an� erm, unmentionable place) that signifies that I passed their tests and was given their book and their secrets. So naturally, you want to know about the book, right? Well, I can't tell you much, except that the weeks of searching, the days of waiting, and the hours of interrogation were TOTALLY WORTH IT! I am telling you, you would NOT BELIEVE what information is contained inside the covers of this book! So, if I peaked your curiosity at all, get your owner, pack a light bag and take a trip up North to try and find a copy of the book for yourself. And I promise you, you won't regret it! Oh, one more thing! Tell the Guild Elders I sent you, and I get a free toaster! Refusing, Denying, Rejecting: Same Thing! But then, your pet gives it back to you and says, "That is SUCH a boring book!" Well, what should you do?